Brushing and flossing together can make your child interested in oral care. Children tend to mimic what their parents do. Demonstrate to them how to properly brush and floss their teeth and even the tongue. After brushing, floss the teeth of your child or help them floss if they are capable of doing it on their own. Think about singing a fun song together to add more excitement to the routine. You can also keep the interest of your child alive with a new, fun toothbrush. Choose a colorful, soft-bristled brush when it’s time to replace their toothbrush. Also, consider using one designed with their favorite cartoon character. Moreover, children’s toothpaste choices matter in making the tooth brushing a positive and fun experience for your little one. Help them look forward to a great time cleaning their teeth by letting them using fruit-flavored toothpaste. According to the American Dental Association (ADA), tooth brushing must be done for a couple of minutes two times every day. A fun way to make sure that your child is brushing long enough is to use a sand timer. Allow your kid to flip over their colored timer and begin brushing. Look for books that encourage children to maintain a healthy oral care habit and read it to your child. Also, you can let them watch fun videos on dental hygiene for children. Videos and stories designed for kids are great resources to teach children how to take care of their teeth and make oral health something they can relate to. 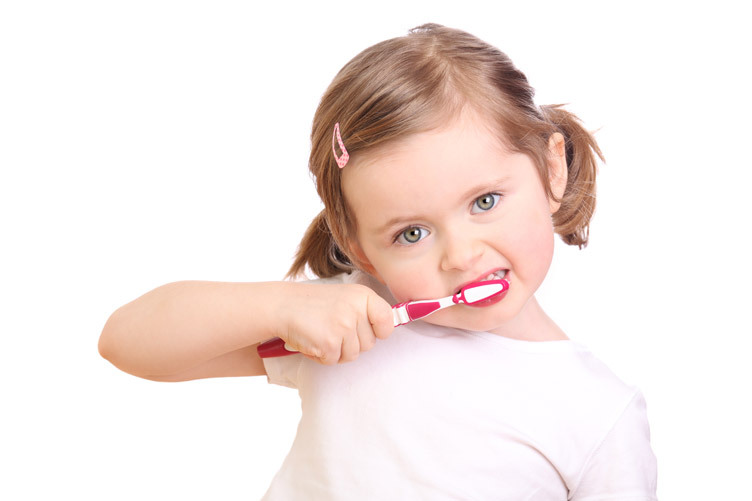 Regular dental checkups are an essential part of good dental hygiene for children. Ensure you bring your child to the dentist every six months in a surprising way. Make each visit a fun family time. After the checkups, you can take your child to the park or plan a picnic with healthy foods.